When making exhibitions here at Te Papa, teams have to install a wide variety of objects. You, the visitor, generally only get to see the polished final product – everything all beautifully laid out, ready for viewing. The Williams FW14B going into the goods lift from the ground-level dockway. © Te Papa, 2009. And so the Formula One cars were moved, one by one, from the dockway up to Level Four. The Williams coming out of the goods lift on level four. © Te Papa, 2009. Wheeling sedately past the Britten bike. © Te Papa, 2009. Backing the Williams into the gallery. © Te Papa, 2009. Putting the nosecone back onto the Williams FW14B. © Te Papa, 2009. 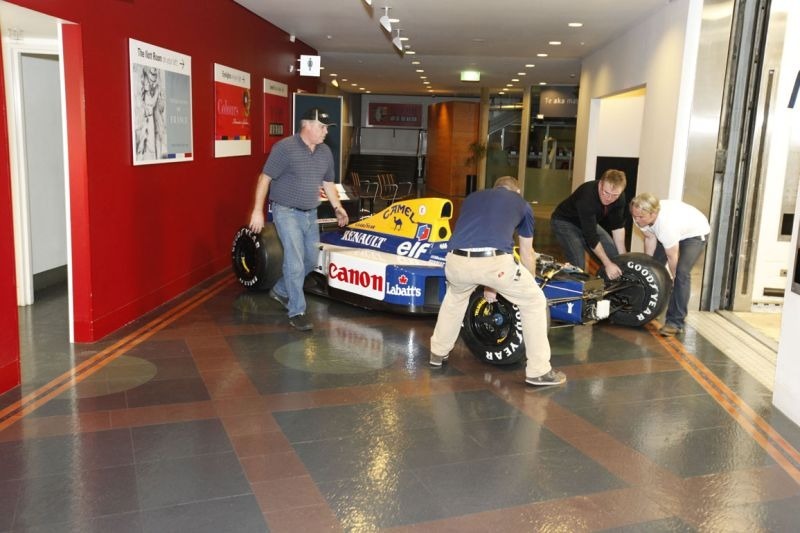 You may also be thinking that the Williams FW14B is not looking that flash – it’s nose-cone had been removed in England so it didn’t get damaged in transit. So we’ve made Nigel Mansell’s 1992 car look gorgeous again… rhinoplasty does wonders! 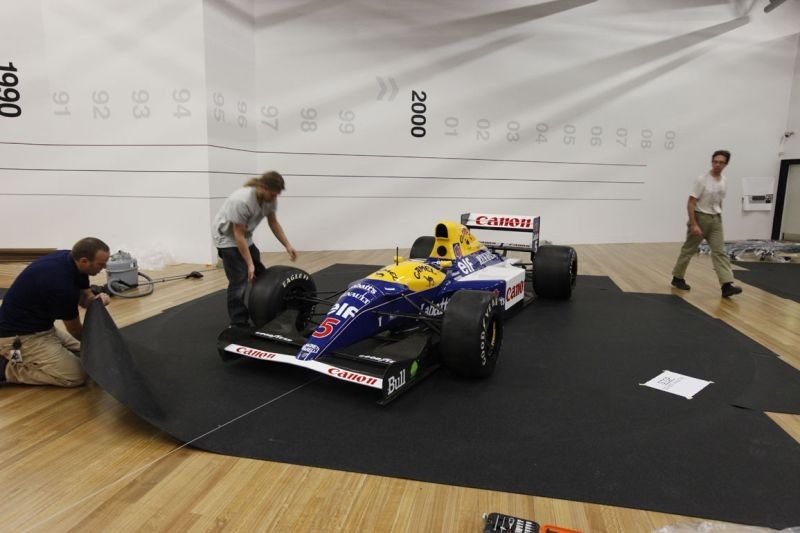 The Williams on its final resting place in the Visa Platinum Gallery. © Te Papa, 2009. Do you think you have what it takes to drive an F1 car? Wanna win the chance to actually drive an F1 Williams?